Every event needs signage! 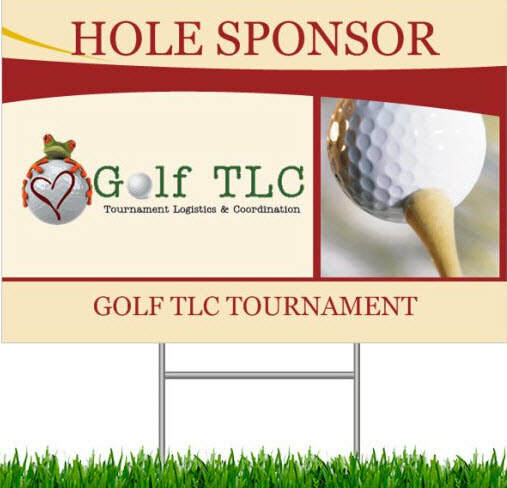 Whether it is for your sponsors, hole in one prizes, registration or just a welcome sign, you have come to the right place. Our lawn signs are 18"x27" and come with a black plastic lawn stake. Every event needs signage! 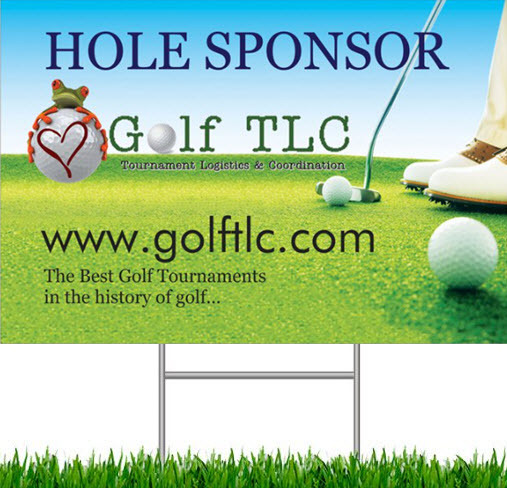 Whether it is for your sponsors, hole in one prizes, registration or just a welcome sign, you have come to the right place. Our Banners are 2.5' x 8' and come with adhesive hangers for a hassle-free banner display. You can choose from a 13-oz lightweight vinyl for indoors or a rugged 15-oz vinyl for outdoors.